Don’t work around your equipment to get the shots you need. Let the Matthews FloatCam DC Sliders work for you. 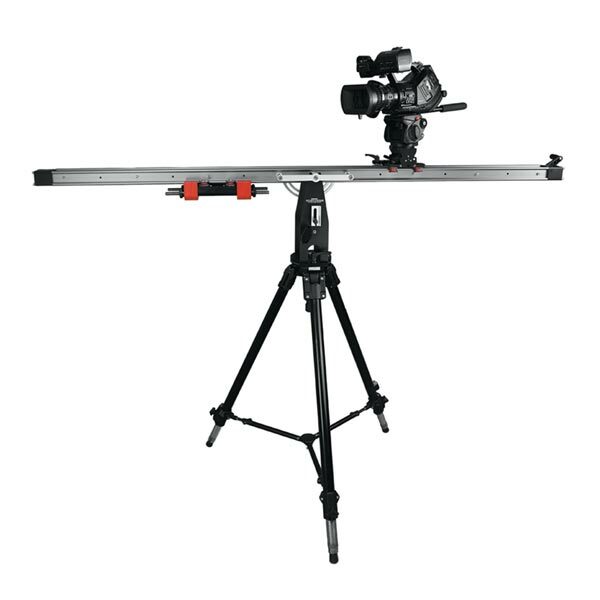 The Matthews FloatCam DC Slider and its larger incarnation, the FloatCam Heavy Duty DC Slider, work with any video camera to bring a higher production value to all of your work, at an affordable rate to boot. The DC Sliders are engineered in a way that lets the camera operator function single-handedly to manipulate the slider to conform to every shot’s requirement, going from a tracking rail to a mini-jib in a few short steps, with no need for an assistant. This ease of use will save you money in on-location shooting, where you can reduce your staff and time spent without negatively impacting your work. 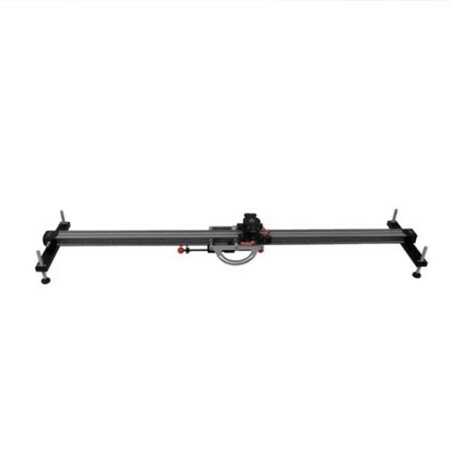 Additionally, The Matthews FloatCam DC Sliders, with their 63″ long rail and uniquely engineered counterbalance system, are able to take a number of useful forms, helping you minimize the amount of equipment you will need to keep on-hand, keeping production and camera operation simple. The Matthews FloatCam DC Slider’s varied functionality is rooted in its simple but powerful slider. 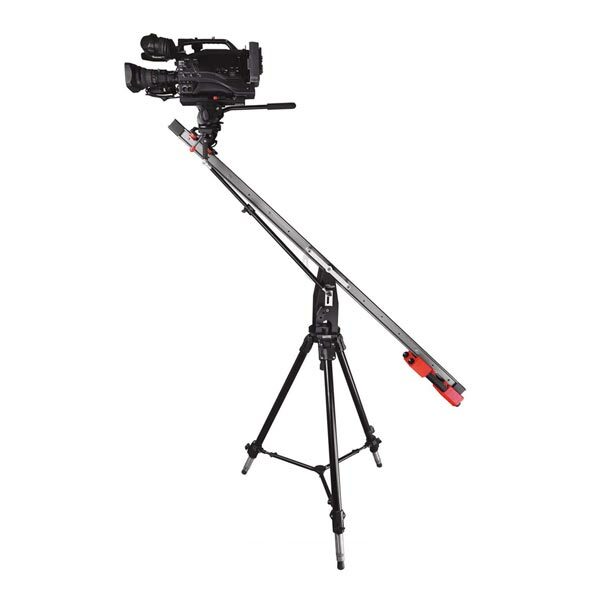 The 63″ rail is designed to be mounted on a tripod through its adjustable fulcrum, and the underslung counterbalance weight system allows for smooth and even movement at any angle, from 0° to 90°. Each model comes with weights that match up to their maximum camera weight – 20 lbs. for the DC Slider, and 70 lbs. 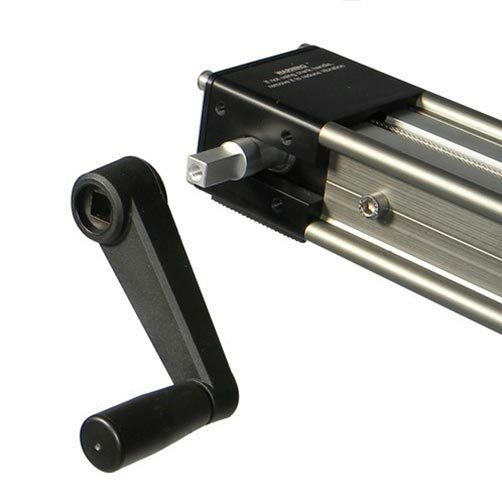 for the HD DC Slider – allowing for matching counterweight with any camera you choose to use. Additionally, the wheel system used on the rail is among the quietest in the industry. Your sound guy only complains as loudly as the background noise in a shot, so keep him happy. The counterbalance system of The Matthews FloatCam DC Slider and the FloatCam Heavy Duty DC Slider combines with the variable fulcrum and a painless motion lock adjustment to let you move or place your camera at any angle and any height that your chosen tripod can accommodate. Lock your camera at the horizontal on its mount way up on a 80° rail to get into a tight environmental frame, or tilt your camera on its mount for some added tension when swinging the rail as a mini-jib. No matter the shot, the DC Sliders will never get in the way of your imagination. 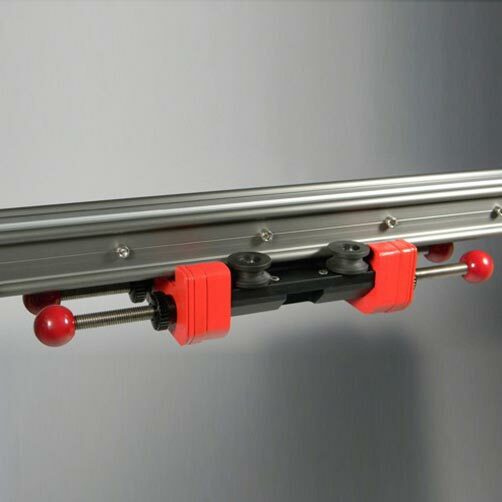 Go from sliding in to booming up with the Matthews FloatCam DC Slider and Heavy Duty DC Slider. With the addition of the parallelogram bar attached to the fulcrum and the camera mount, the slider becomes an extremely capable mini-jib with minimal effort and no equipment switching. 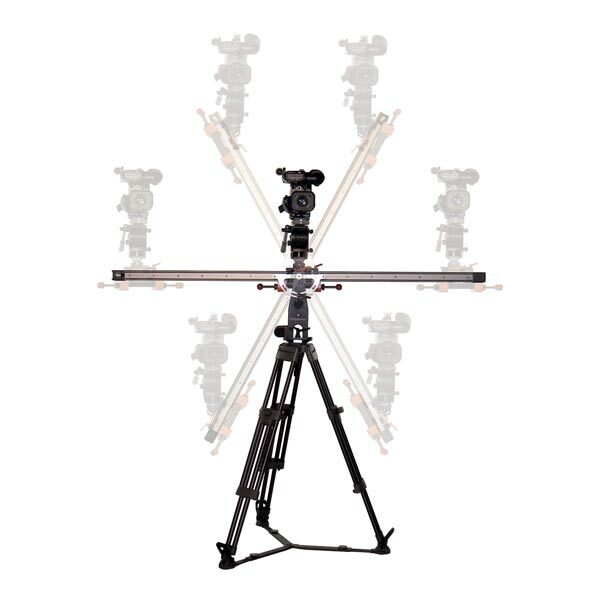 The FloatCam DC Slider and Heavy Duty Slider can be swung at the full range of the slider’s 63″ diameter when mounted to a tripod, and the camera will automatically pan down or up to counteract the boom motion of the slider in order to keep the subject in view. Couple this with the counterbalance system which allows for effortless movement no matter your camera weight, and the entire process can be done single-handedly, the equipment adjustment happening in minutes. 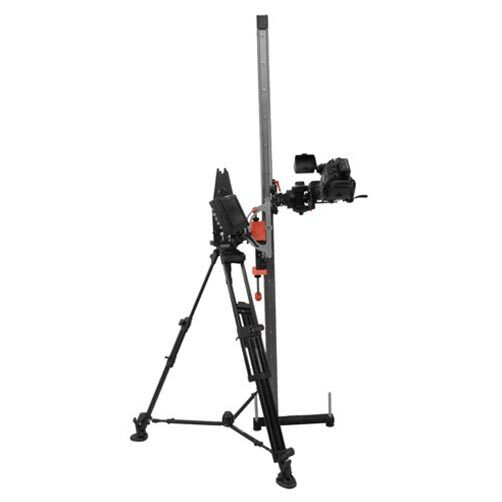 Flip the rail on its head to get your camera from ground level to overhead in a single steady sweep with the Matthews FloatCam DC Slider and Heavy Duty DC Slider tower functionality. A quick adjustment to the fulcrum turns the 63″ rail exactly vertical, and the counterbalance system helps you keep a steady and even slide from top to bottom or vice versa. Extend your tripod’s legs and place your camera at the top of the rail to get way up there, and leave the aerial work platform in the parking lot. The FloatCam DC Slider Motion Control System takes the already insanely versatile DC Slider line and multiplies its versatility in new and exciting ways. Movement along the rail can be programmed, or manipulated manually via the jog box, opening up the functionality for cinematographers and photographers alike. Not only can you automate the movement of the camera in tracking shots at any angle, but the slider can now be used for time lapse and stop-motion via intelligent connectivity with Nikon and Canon DSLR cameras and the camera control cable which comes with the rental, allowing you to program the speed of both the motor and your shutter to your liking, and let them run in tandem for precision shots. 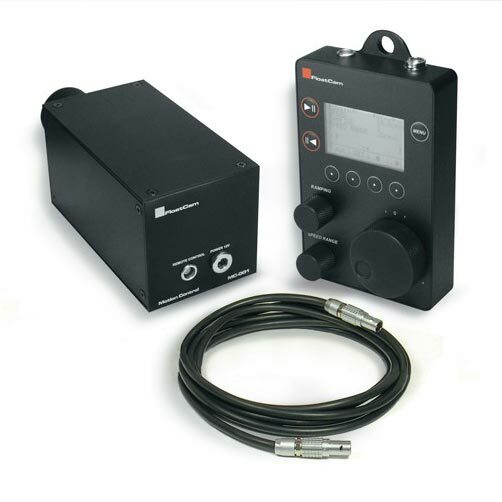 The FloatCam DC Slider Motion Control System is available to rent for both sliders.